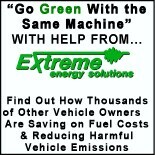 It is saving gas…“I wanted to mention to you that my wife, whom uses the SUV that you put the SMART Emissions Reducer device on; she says she has gone from getting gas every 8 days to every 10 days. It’s been consistent the last several weeks and she has not changed her routine; so it is saving gas. just wanted to share that. Thank you,” Shannon Smith, Washington DC. For more information about the latest advances made by Extreme Energy Solutions, Smart Emissions Reducer, and Samuel K. Burlum you may visit the following websites:www.ExtremeEnergySolutions.net, www.SmartAFS.com, www.smartemissionsreducer.com, and www.SamBurlum.com.